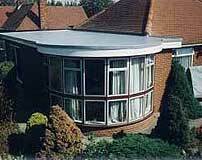 A properly laid fibreglass roof also known as GRP Roofing, will last for at least 30 years with no measurable deterioration. 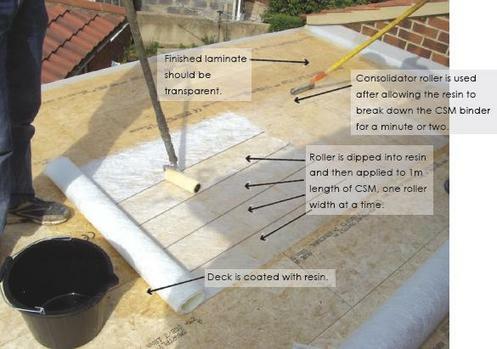 The roof must be laid onto a dry deck in dry conditions at a temperature not below 5°C. The resins and top coats should be suitable for use in GRP Roofing. This guide relates only to the application of the GRP laminate and top coat. Typically two men can strip, re-deck, laminate and top coat a roof of about 20 square metres in one day. Always try to plan starting the roof when a settled period of weather is forecast. The decking boards should be Sterling OSB3 tongue & groove. They should be fixed to the roof structure using ring shank nails or screws with a minimum penetration of 25mm, which should be used at 300mm centres down the length of each joist covered by the boards. When laying tongue and groove boards, ensure the gap between the boards is face up so it can be reinforced by the resin that runs into it when the laminate is layed. All the boards must have their joints staggered to increase the strength of the roof (see below). Now you will need to form the edge detail with various preformed edge Trims. 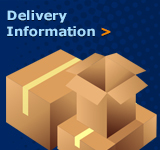 Edge trims are manufactured in GRP. One side has a high adhesion finish (matt finish), the other side has a glossy finish, always bond to the matt finish. 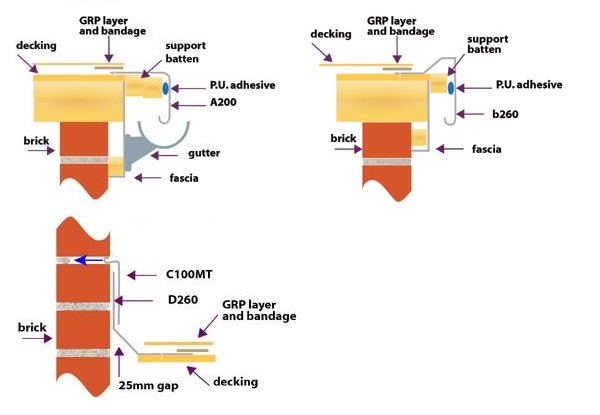 All trims must be fixed with nails or staples to the decking board with the exception of the F300 Flat flashing and the D260 Angle fillet, the trims must be bonded in place using the Polyurethane Adhesive. Silicone sealant or general-purpose mastics are not suitable adhesives for the fixing of trims. Where trims need to be joined they should be overlapped and bonded with a strip polyurethane adhesive then bandaged together. The A200 - Drip facia trim can be offset in order to ensure that the drip stands over the gutter. Preformed corners may be used, or if preferred, mitres can be cut into the trim to form the corner then sealed on site with a patch of glass fibre. The laminating must be planned depending on the air temperature. Long runs may be attempted in cooler conditions while short runs must be used in hotter conditions. Remember that the resin will always cure faster in hotter conditions and an allowance must be made for this when deciding how much glass to lay in one mix. (The Glass : Resin ratio should be 1:2.5). Before the laminate is applied the glass must be pre-cut to the desired length., shorter lengths in hotter conditions. The laminate need not be laid to falls, i.e. it does not matter in which direction the joints are lapped. Clear all unnecessary items off the roof and mix sufficient resin and catalyst to complete the first "run". Wet out the first area to be done and roll out the glass. Apply the remainder of the resin to the glass, allow to wet out for a few minutes, then consolidate the glass with the consolidation roller ensuring that no dry patches of glass remain and that no air is trapped in the laminate. Continue with the next "run" of glass overlapping the first by 5Omm. Do not step on the wet glass and resin. Continue this until the roof has been completely covered and the laminate has been well consolidated. The laminated roof must be top coated as soon as possible - Try not to leave the laminate overnight. Test the laminate for cure by using slight finger pressure. The laminate is about half cured when it is impossible to move the glass fibres within the resin matrix. At this point it will withstand light foot traffic so that you may stand on the laminate to complete the top coating. If you are working alone, decant topcoat into buckets of no more than 3kg (enough to cover about 6m2). Catalyse and use one mix at a time, applying with a roller, keeping a wet edge, immediately catalyse the next bucket of topcoat and continue from where you stopped. Decant a small amount to finish the edges and all details work. Ensure that the top coat is even and not more than half a mm thick. If the top coat is applied too generously, there is a danger that it will crack. The GRP Roof is then complete and will take several days to fully cure. It will not deteriorate and maybe cleaned occasionally with soap and warm water. DO NOT USE BLEACH or any strong alkali on the roof. The roof will withstand foot traffic and may have planters or tiles or other decorative finishes applied to it with no detrimental effects. The edge trims may be painted if required. *These times may vary according to mix type and catalyst activity used. 1) Never use less than 1% even in summer. Just mix less at a time. 2) Never use more than 4% - the cure time will not reduce with more catalyst beyond 4%. 3) Never underestimate the effect of temperature. Resins will not cure at or below freezing and will always cure much faster in direct sunlight. 4) Remarks - when Top Coating late in the day - add more catalyst to allow for the lack of sunlight. 5) You can buy catalysts of different strengths, to partially compensate for winter and summer conditions. 6) Remember any catalysed resin left in the bucket will exotherm. Heat is generated as it cures and it should be left well away from other stored materials. Water may be poured over the resin layer in order to suppress heat gain. 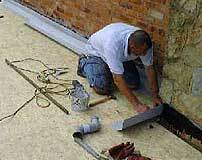 You may encounter some problems when laying the GRP Roof or after its completion. If these instructions have not been followed. 1) Delamination of the laminate from the boards: Moisture in the deck when laminating. 2) Flaking and Cracking of the top coat: Top coating onto a wet laminate or applying the top coat too thickly. 3) Resin cures too fast: Conditions are too hot to lay resin or addition of too much catalyst. 4) Top coat cures too fast: See No.3. 5) Resin cures too slowly or not at all: No catalyst addition or temperature too low. The cure will stop and temperature drops to freezing. 6) Patch or Streaky cure of resin or top coat: Insufficient catalyst and inadequate mixing. 7) Resin does not cure and appears milky white: Water contamination. 8) Excessive fibre pattern: Too little resin and insufficient consolidation. 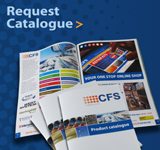 We have compiled material packs for a range of roof sizes and specifications, click the link below to see how cost effective a GRP flatroof is, or call our sales team with roof size and trim requirements for a full quotation. 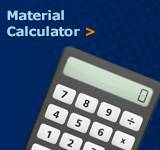 Click Here For Material Packs. 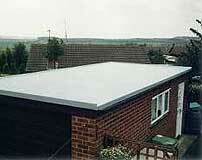 The above guide is a brief explanation of GRP roofing. Watch this video of a roof installation using the Cure-it roofing system.